Reuben Lipski Pitch Black... Love these guys. They've got this real distinctive sound that I've never heard from anyone else. I liked them years ago when I first heard them, but it wasn't until I started making amateur electronic music myself, that I'm really able to appreciate the smooth, articulate, and somehow perfect sound that Pitch Black seem to achieve with every track. Favorite track: Kaikoura Dub. 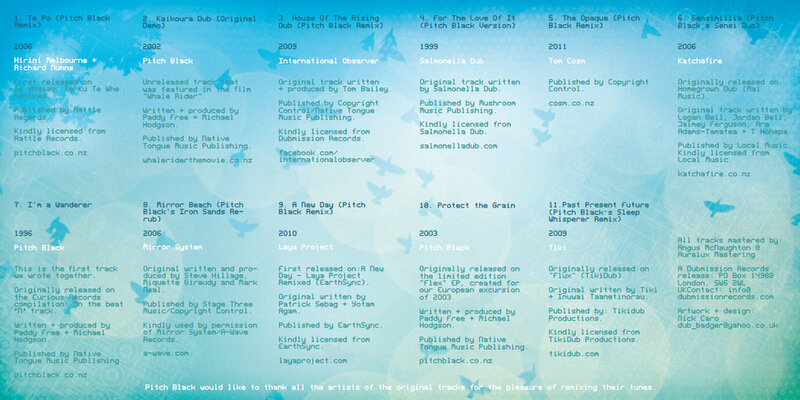 Download the 13-track album in your choice of 320k mp3, FLAC, or just about any other format you could possibly desire. Package comes with front, back and inside artwork, plus "Delf", a short animation made in 1997 which features music by Pitch Black. Includes unlimited streaming of Remixes & Rarities via the free Bandcamp app, plus high-quality download in MP3, FLAC and more. 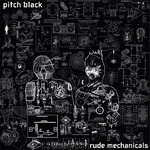 Remixes and Rarities – the latest album from Auckland’s Pitch Black – is a package of rare tracks and lovingly crafted remixes of other artists’ music, chosen by Paddy Free and Mike Hodgson to represent their fifteen year reign as Aotearoa’s favourite electronica act. 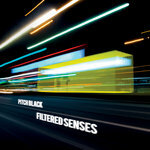 Known globally for their stomping, genre defying live sets, Remixes and Rarities showcases Pitch Black’s mellower side, the one that also makes them favourites in the living room. The album begins with the call of the kōauau (Māori flute), the intro to a dancefloor friendly, but respectful reworking of the Richard Nunns and Hirini Melbourne original, ‘Te Po’ and ends with an equally haunting version of Tiki’s ‘Past Present Future’. Bookended by these distinctively local soundscapes, Remixes and Rarities represents the past, present and future of the Pitch Black partnership. 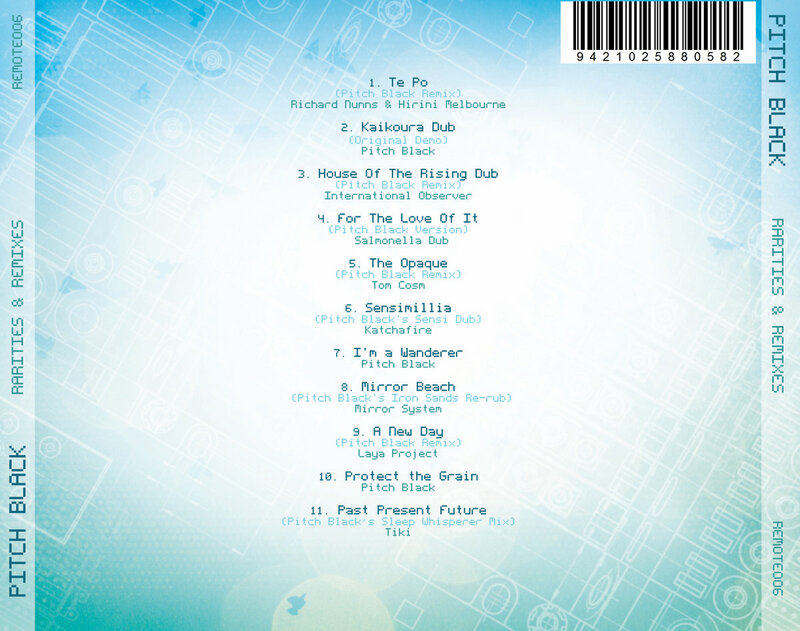 Included in the remixes are tracks by fellow Aotearoa/NZ dub trailblazers International Observer (‘House of the Rising Dub’) and Salmonella Dub (‘For the Love of It’), along with ‘The Opaque’ by independent music producer Tom Cosm, and ‘Sensimillia’ by reggae legends Katchafire – all fed through the PB warping machine. Representing from further a field is ‘Mirror Beach’ by Mirror System (the ambient project of Britain’s System 7), and ‘A New Day’, a remix of a Sri Lankan track that Pitch Black remixed for the Laya Project, a collaboration of regional folk musicians affected by the 2004 tsunami. 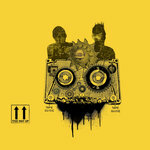 Whilst all of Pitch Black’s four studio albums have been followed by a compilation of versions by local and international artists, this is the first to showcase their own remixing output, and Mike and Paddy enjoyed the process of going back over all the old dats. 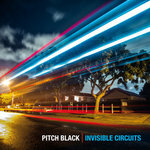 “From 1996 to 2011 we have had many chances to remix other artists’ songs, and these have been released on a variety of albums and compilations around the world – this Pitch Black release gives us a chance to put them all in one place. It contains tracks from the very beginning of us working together right up to a track finished earlier this year,” says Paddy. Included on the album are three Pitch Black originals that were either never released or were on compilations or short limited runs. Purists will love the inclusion of 1996’s ‘I’m a Wanderer’, the first track the pair worked on together. ‘I’m a Wanderer’ showcases the industrial beginnings of what would become the Pitch Black sound – a dynamic balancing act between heavily sculpted basslines and choppy melody that has been acknowledged by many as an evocative soundtrack to the Aotearoa landscape. In contrast, the pastoral ‘Protect the Grain’, a windborne ambient track released on the limited edition EP Flex around the time of widespread anti-GE demonstrations, represents Pitch Black at their gentlest. Also included is ‘Kaikoura Dub’, a previously unreleased track from which a snippet was used on Whalerider to accompany Paikea’s journey away from her village, during the scene when she heard the whales calling her home. 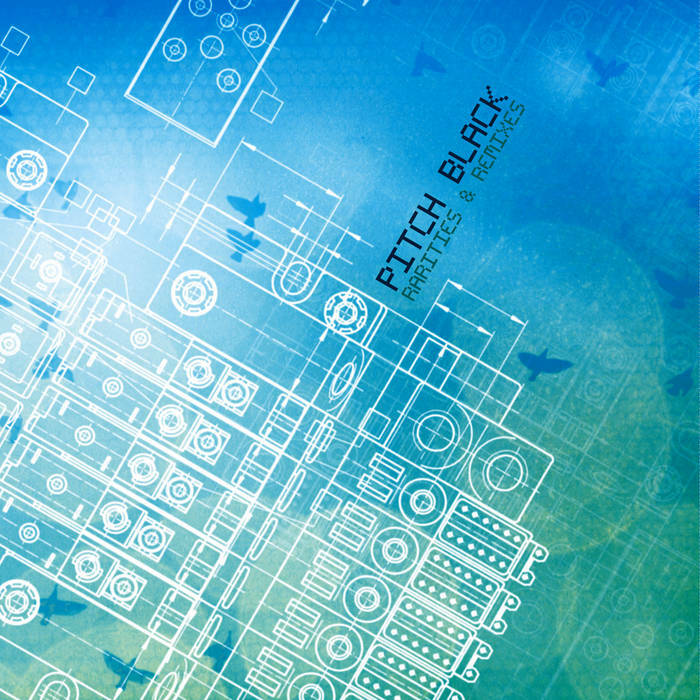 Pitch Black have always been more than a dance act, but on Remixes and Rarities they demonstrate the full reach of the musical territory they love to explore. First released on "Te Whaiao: Te Ku Te Whe Remixed"
Unreleased track that was featured in the film "Whale Rider"
This is the first track we wrote together. Originally released on the Curious Records compilation "On the beat'n'track"
Published by Stage Three Music/Copyright Control. Kindly used by permission of Mirror System / A-Wave Records.